The following page lists all the retail products we offer, and includes some details you might wish to know before you purchase. Answers to some common questions can be found on our FAQ page. Included is a spare sanitizer and a month's supply of bags. Available in both black and transparent versions, ezeleash has a range of associated products available for purchase on line or via selected pet shops. It comes in two thicknesses: Small dog and Medium/Big dog. The Small dog lead is 15mm in width and is suitable for miniatures only. The Medium/Big dog leads are 25mm in width, with a substantially thicker weave and a beefed up YKK buckle, and are able to handle large dogs and strong pullers. All standard leads adjust in length between 80cm-120cm. This means that when your dog is off the lead, you can clip it around your waist, by adjusting it to fit your waist size. All standard leads also have the utility pocket at the top of the lead, and have the quick tether factility. You can add as many leads to your ezeleash handle as you like, which is convenient if you are walking more than one dog. However, when considering walking more than one dog on the same handle we would recommend the use of a splitter (see below). If you don't feel the need for a hand sanitiser but still need to carry bags with you, then you could use our Walk-eez. Light and easy to use, with a soft padded handle, the Walk-eez is designed to make your life easier. For filling instructions, click on this image. 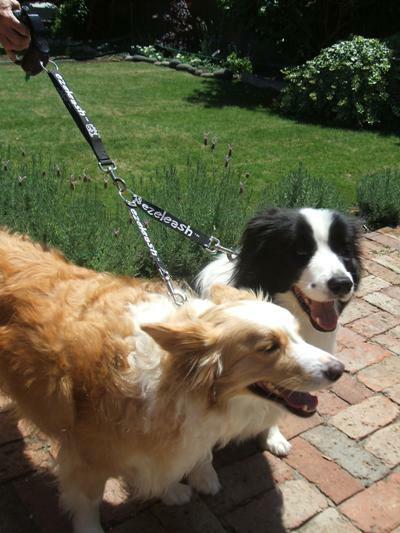 perhaps you already have a favourite leash or you use an extender lead. In this case you may be interested in our ezebag pouch. 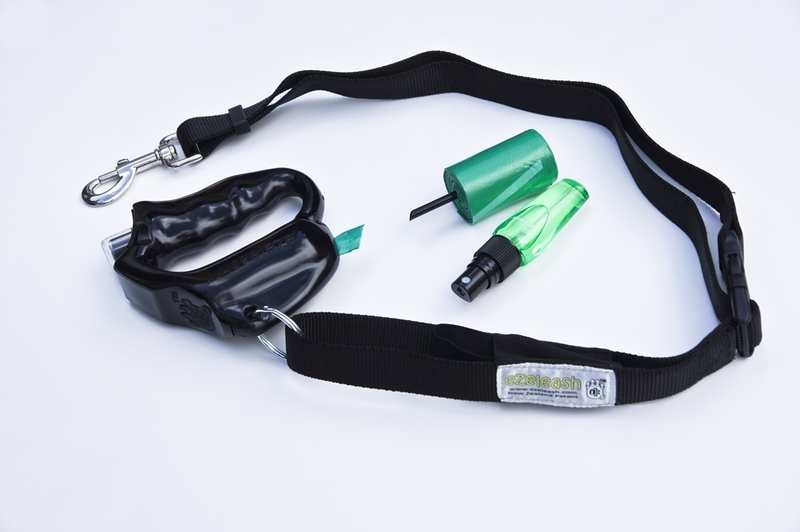 This pouch fits easily to your existing leash and has the advantages of being light, robust and easy to use, and, best of all, won't rattle annoyingly or bang your fingers. Buy two packs of ezebags and get a free ezebag pouch with your purchase. come in a 4pack of 13 bags per roll (52 bags per pack). The bags are specially shaped to help with pick up. Every pack sale produces revenue for the SPCA. Available also at Countdown supermarkets nationwide. RRP : NZ $7.99 per pack. Once you are comfortable with the product, you may wish to consider purchasing ezebags in bulk. A year's supply of bags (7 packs) are available for NZ$47.99 including domestic delivery. is an alcohol based hand sanitiser which contains moisturizers, to keep your hands clean and soft. Incidentally, ezeclenze is not limited to use in the ezeleash. Their handy size means the 20ml bottle will fit neatly into a handbag or backpack, and the mist spray makes them very convenient to use. The Ministry of Health recommends the use of alcohol based hand sanitisers as a precaution against Influenza. these eze-splitter arms are sold singly, allowing you to customise your leash to your own personal requirements. By opening up the specially toughened split-ring, you can add up to four arms (see examples below). The central ring is included with purchase.